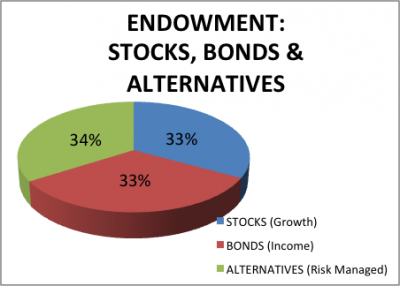 The Endowment Investment Philosophy builds portfolios using an asset allocation methodology pursued by major universities like Yale and Harvard, and it offers the best potential for superior risk-adjusted returns and lower volatility through all market cycles. It’s a good idea to become familiar with this philosophy as it could help you build a better-performing portfolio. This investment philosophy expands the number of asset classes and strategies used to create a portfolio by including alternative investments such as hedge funds, private equity, and real assets, in addition to traditional stocks and bonds. The addition of alternative investments provides an entire gamut of return-enhancing and risk-reducing strategies. We like to refer to this third dimension as the “Risk Managed” segment, augmenting our Growth and Income buckets in an overall asset allocation framework. How does the endowment investment philosophy lower portfolio risk? In the traditional statistical sense, it is quantified as an annualized volatility number. The higher the volatility number, the higher the risk. However, one needs to also distinguish between upside and downside volatility, as any upside volatility is considered to be generally good. Permanent loss of capital, where due to fraud or complete loss of an investment’s value as in a bankruptcy or re-structuring, the entire initial capital is wiped out, with no ability to recoup value. Generally speaking, adding lower correlated asset classes to a portfolio helps to lower the overall volatility and maximum drawdowns of a portfolio. For example, a two dimensional stock-bond portfolio declined 30.8% from peak-to-trough over the period January-2000 to December-2012. Keep in mind that this recent time period has had two cyclical bull and bear markets, each within the context of an overall secular bear market that started after the equity markets peaked in March of 2000. A three dimensional portfolio which includes a risk-managed segment with equal allocation to the three asset classes declined 23.2%, substantially less than a two dimensional stock bond portfolio. Moreover, the annualized volatility of the three dimensional portfolio was 6.5% as compared to the two dimensional portfolio at 9.2%. Another way to illustrate the above risk reduction concept is through the following diagram referred to as an Efficient Frontier. 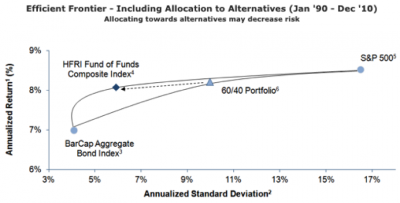 As you can see, adding just one element of the risk managed bucket, namely hedge funds, helps reduce the annualized standard deviation while maintaining returns at the same level as a 60-40 stock bond portfolio. Does the endowment investment philosophy increase returns? While the risk-managed bucket is used to mainly reduce the risk of a portfolio, it can also be used to enhance returns, through the use of private equity and real assets. Primarily, if these asset classes are implemented through private investment partnerships it can help capture the illiquidity premium, which enhances the returns from liquid securities. As an example, Harvard University’s endowment as of June 30, 2012, was valued at $30.7 billion, making it the single largest university endowment. Its long-term performance over the last 10 and 20 year periods ending June 30, 2012 was 9.49% and 12.29% per year as compared to a two dimensional 60:40 stock-bond portfolio which returned 5.86% and 7.94% per year, respectively. Does it increase risk-adjusted returns? The Sharpe ratio tells us whether a portfolio’s returns are due to smart investment decisions or a result of excess risk. This measurement is very useful because although one portfolio or fund can reap higher returns than its peers, it is only a good investment if those higher returns do not come with too much additional risk. 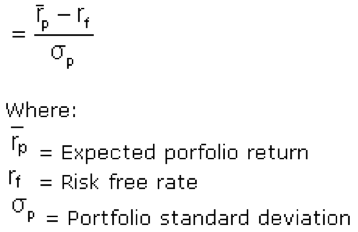 The greater a portfolio’s Sharpe ratio, the better its risk-adjusted performance has been. A negative Sharpe ratio indicates that a risk-less asset would perform better than the security being analyzed. Given that adding alternative investments helps reduce risk and may increase returns, it implies, that risk-adjusted returns or Sharpe Ratios will be superior to a two-dimensional stock bond portfolio. For example, adding hedge funds to a portfolio of stock and bonds in an equal proportion produced a Sharpe Ratio of 0.46 over the time period January 2000 to December 2012. This compares to the Sharpe Ratio of 0.24 for a portfolio allocated 60% to US Stocks and 40% to US Bonds. How does it lower total portfolio management costs and increase after-tax returns? The Endowment Investment Philosophy can help lower total portfolio management costs through the utilization of liquid alternative investments that are invested through the traditional investment structures like Exchange Traded Funds, Exchange Traded Notes, Closed End Funds, and Mutual Funds. The costs of these investment vehicles are generally lower than the classical private partnerships that have primarily been utilized historically by institutional investors and high net worth families. These private partnerships generally have a 1-2% annual management fee along with a back end profit sharing fee of 10-20%, with or without a high watermark. Moreover, if these private partnerships are fund of funds, there is another 1% annual management fee and a 5-10% incentive fee. The proliferation of liquid alternative investments has allowed us to reduce some of the upfront management fees as well as the back end fees. Generally speaking, the illiquid alternative investments that are held through private partnerships have longer term investment horizons that generate the bulk of their returns through long term capital gains, which have lower tax rates than short term capital gains and/or income. Moreover, some of the liquid alternative investment vehicles like Exchange Traded Funds are inherently more tax efficient in the way they are built which minimizes trading activity. What are the different ways of implementing this philosophy? The first implementation strategy utilizes illiquid alternative investments like private equity, hedge funds, and real assets. This is the preferred methodology for the larger college endowments like Harvard and Yale Universities as well as Ultra High Net Worth clients to implement their investment portfolios. This allows the investor to capture the significant illiquidity premium that has historically been in excess of 5% annually for these investments. Investors need to be “accredited” to be able to invest in these portfolios. The second methodology utilizes liquid alternative investments. The recent proliferation of Exchange Traded Products, primarily using Exchange Traded Funds and Exchange Traded Notes, has allowed us to build portfolios using liquid alternative investments. Asset Styles and Strategies that are not presently available in Exchange Traded Funds/Notes are implemented using Mutual Funds and/or Closed End Funds. Investors do not need to be “accredited” for these portfolios. The third methodology is a hybrid model that utilizes a combination of illiquid and liquid alternative investments. Investors need to be “accredited” for this portfolio. Annualized Return: Annualized return, or “average annual return,” describes the return gained, on average, each year of a multi-year period rather than a cumulative return. Annualized Standard Deviation: Risk as measured by the variability of performance. The higher the standard deviation, the greater the variability (and therefore the risk) of the fund or index. The Barclays Capital U.S. Aggregate Index is an unmanaged index of investment-grade, U.S. dollar-denominated fixed-income securities of domestic issuers having a maturity greater than one year. The HFRI Fund of Funds Composite Index is an equal weighted index of over 650 constituent hedge fund of funds that invest over a broad range of strategies. S&P 500: Standard & Poor’s 500 Total Return Index. Periods greater than one year are annualized. An index consisting of 500 stocks chosen from market size, liquidity and industry group representation, among other factors, the S&P 500 is designed to be a leading indicator of U.S. equities, and it is meant to reflect the risk/return characteristics of the large-cap universe. 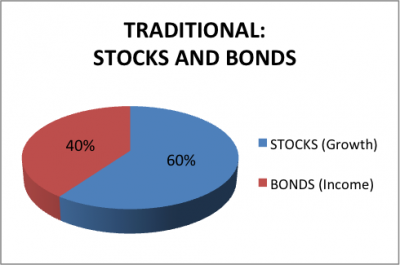 60/40 Portfolio: Hypothetical investment where 60% of the portfolio is invested in S&P 500 and 40% is invested in the Barclays Capital Aggregate Bond Index. In the United States, for an individual to be considered an accredited investor, he or she must have a net worth of at least one million US dollars, not including the value of one’s primary residence or have income of at least $200,000 each year for the last two years (or $300,000 together with his or her spouse if married) and have the expectation to make the same amount this year. Past performance is not an indication of future results. Index returns are provided for illustrative purposes only to demonstrate the use of diversification among asset classes using broad-based indices of securities. Returns do not represent an actual investment. Actual investment returns would vary. Indices do not have costs, fees, or other expenses associated with their performance. Therefore, actual investment returns would be lower. In addition, securities held in an index may not be similar to securities held in an actual account. It is not possible to invest directly in an index.